You can learn a lot as a homeowner by doing home renovations. Tempers run thin, your home can get messy, and claustrophobia is not uncommon when you are in tight areas and close quarters. Luckily, though, replacing your doors and windows doesn’t wreak as much havoc as other home improvement projects. Still, there are some valuable life lessons to be learned, and here are six of them from the experts at Brock Doors and Windows. Lesson #1 Less is more. If you are planning to sell your Brampton home down the road, a complete renovation of your house is not always needed. It’s much more effective (and cost-effective) to make just a few choice changes to your home instead. Such changes include landscaping, touching up your home’s paint, and replacing your doors and windows. Simple changes like these can go a long way, and best of all, they are not as costly as complete renovation. Lesson #2 You get what you pay for. If you are choosing your replacement window and door company based solely off the lowest quote, then you are making a big mistake. Why? Because most often, when you skimp on the price, you are skimping on quality as well. Steer clear of companies that claim to offer the “lowest price” or the “deal of a lifetime”, because chances are, these claims are tactics to get you to look past the fact that they may not have quality service or worthwhile warranties. When you pay a fair price for your services, you will get quality services, it’s just that simple. Lesson #3 Don’t stress, because it’s just not worth it. As with any situation in your life, stressing is not going to change it. Stress just doesn’t get you anywhere. Brock Doors and Windows does our best to make your replacement windows and doors project as quick and stress-free as possible. This way, you can get back to your regular routine faster. This is why we take great pride in the fact that the majority of our replacement window projects in Brampton are completed in a single day. Lesson #4 You don’t need to know everything. While it’s true that the more informed you are, the better, it just isn’t necessary (or possible) to know everything there is to know about something. 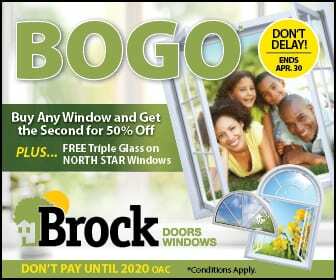 That’s the reason why you call the experts at Brock Doors and Windows. It is not about knowing all the answers, but instead, knowing the right questions to ask. When you take this route, you will learn more about the process as a whole, as well as the company you will be working with. The lesson here is, do your homework! Read reviews online, obtain recommendations from friends and family, and research the company you plan on hiring. Lesson #5 Go with your gut feeling. When you are getting quotes and estimates from several different window and door replacement specialists and something just doesn’t feel right, do yourself a favor and listen to your gut. According to science, your gut is almost always right. Go with the company that you feel is reliable, honest, and worthy of your trust. Lesson #6 Leave it to the experts. It is always good to know when you are capable of a task, and when it is best to leave it to a professional. 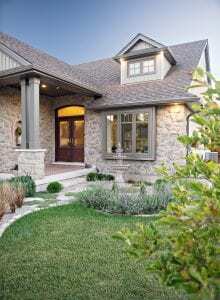 Replacement doors and windows is one of the projects that is always best to leave to the experts. The professionals at Brock Doors and Windows are here for you every step of the way of your home improvement project. Call us today to schedule your free consultation!